It was formed by two senior physician-scientists, following 23 years of research, policy making, and teaching at the U.S. Centers for Disease Control and Prevention (CDC), as officers in the U.S. Public Health Service. Drs. Jason and Jarvis have been on the faculty of Emory University School of Medicine. Drs. Jason and Jarvis provide assistance in research study design, analysis, and review; medical chart review and expert witnessing; development and conduct of surveys, epidemiologic studies, and conduct; preparation and review of manuscripts and educational associated materials; national and international medical and public health program development and evaluation; healthcare facility infection control program development or evaluation; and teaching and educational presentations. Both physicians are able to travel. Fee schedules and full curriculum vitae are available upon request. Dr. Jason is a highly respected expert in epidemiology, immunology, infectious diseases, HIV/AIDS, pediatrics, and health communications. Dr. Jason spent 23 years as an officer in the U.S. Public Health Service (PHS), medical scientist at the U.S. Centers for Disease Control and Prevention (CDC), and Clinical Associate Professor at Emory University School of Medicine. She has numerous peer-reviewed publications, served on CDC’s Institutional Review Board, and has advised State, federal agencies, and international organizations. 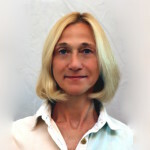 She is currently a consultant to the U.S. Food and Drug Administration (FDA)’s Medical Devices Advisory Committee and Center for Devices and Radiological Health. Dr. Jarvis is an acknowledged world leader in healthcare-associated (nosocomial) infection control. 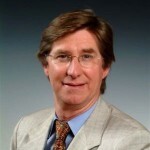 He is a highly published expert in infectious diseases, infection control, epidemiology, public health, and pediatrics. Dr. Jarvis has published over 500 peer-reviewed publications, book chapters, and editorials on these topics.